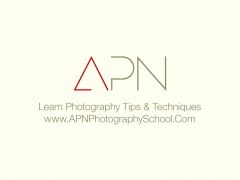 Welcome to apnphotographyschool.com. Since this is the first post let me take you through a small introduction while we save the more specialized stuff for later. This blog is a realization of my long cherished dream. The site had been planned for long but I had always chosen to postpone the plans to a better time when I could do justice to the blog, the subject and the topics I touch upon. apnphotographyschool.com is powered by WordPress, themed with Thesis and runs on a high-end dedicated server to ensure our focus on priorities and minimize maintenance and routine tasks. While the blog is about the advanced concepts and principles of optics and physics, it will be our endeavor to simplify the information so that it is easier to absorb while not being overwhelming and accordingly simple to apply to real-world scenarios. In the coming days we’ll start by forming base with the simpler concepts and move to more advanced as we progress. To know more about the objective of this site you may want to click here to read the About page. Do not forget to subscribe to the feed and watch out this space for all the shooting action.